Masonry construction is one of 1st Choice Chimney’s newest services. “Masonry” refers to the units of material that make up a chimney, fireplace, or fire pit. It can refer to marble, stone, concrete, granite, limestone, and more. Masonry repair and construction comes in when the structure of masonry deteriorates, as it naturally will over time. 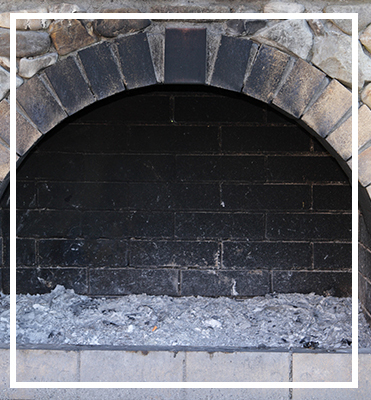 Repair includes upkeep, replacement, and looking after any of the materials that make up your chimney or BBQ pit. Here at 1st Choice Chimney, we repair the brick and mortar on your fireplace as well as on a fire pit or outdoor kitchen to ensure that they are in top condition. We not only help make your home and outdoor patio more aesthetically pleasing, but keep you protected from fires, and costly damage that can occur to your fire pit, chimney, and fireplace. Masonry is a great choice for a chimney or fire pit because it is customizable. It’s available in a wide range of colors, textures, shapes, and sizes. This gives you the chance to create a solid structure that is also catching to the eye. It creates a natural appearance that is striking both in urban settings as well as rural areas. No matter what, you can be guaranteed that masonry will complement the surrounding areas. In addition, masonry doesn’t rot or allow fungus to build up and create mildew between walls. This protects you from health problems related to mold, mildew, and fungus build up. Often, people exposed to mold or mildew experience respiratory conditions, asthma, and throat problems. In addition, masonry offers protection from fire damage and requires little to no maintenance. 1st Choice Chimney’s chimney cleaning professionals do more than simply clean your chimney. They inspect your chimney and your home, and make sure that your chimney and fireplace are not dangerous. The pride we take in our craft is reflected in the quality of our workmanship. When you contact 1st Choice Chimney Sweeps, you are assured fast, reliable service performed in a friendly and courteous manner. Is Masonry Repair Something I Can Do Myself? When Do I Know I Need Masonry Repair? Even a small crack in your home’s masonry or brickwork demands attention. If cracks are left unattended, water infiltration and freeze-thaw cycles will likely lead to far more damage and expensive repairs later on. An important note is that vertical cracks are the least troublesome kind of crack. If you see a crack within 30 degrees of vertical, you don’t have to worry about the collapse of your fireplace or fire pit. However, with any cracks, be mindful of water. 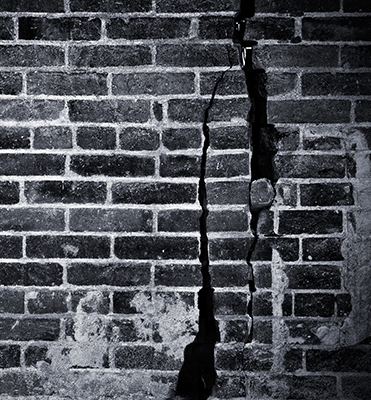 Cracks let water in during heavy rains and snow storms and can lead to bowed or bulging bricks. 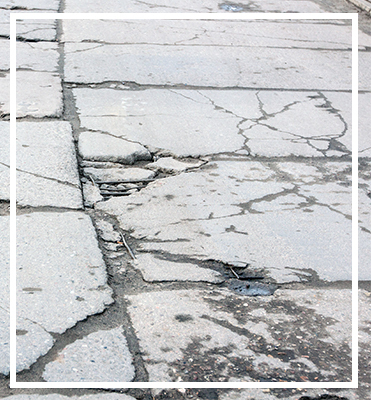 The good news is that to a professional, repairing cracks is a simple fix. Bowed bricks occur when the bricks in an outer wall either jut out or cave in around a certain area. Most of the time, it’s caused by moisture that has seeped behind the brick. Then the moisture warps the concrete and bricks and either forces them to push out, or softens the wood or plaster behind the wood causing the bricks or stones to sink in. When this happens, your contractor will remove the affected bricks or stones, assess and fix the damage behind the stones, and rebuild that section of the outer wall with new bricks. 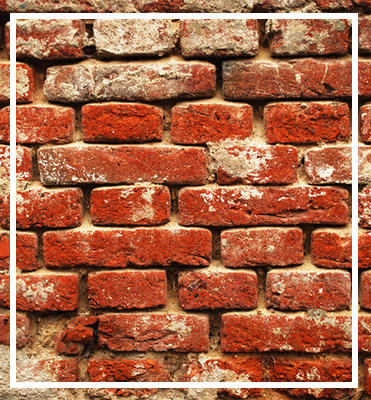 If you notice missing mortar in between bricks or stones, it’s time to call your masonry construction contractor. 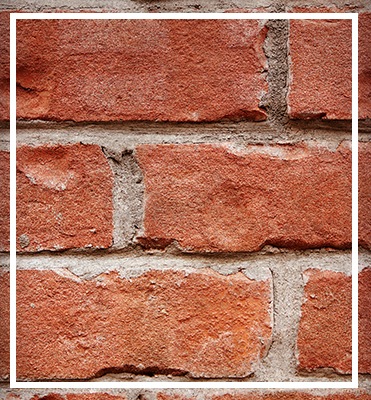 Brick walls generally need to be repointed every 15 to 20 years, but if your mortar is applied improperly or the wrong materials are used, it can lead to early wear. This is why it’s important, when installing a fireplace or fire pit with masonry, that you hire a professional to do the job. A compacted brick is easy to spot because it has lost its shape. It can appear bowed or even cracked. This is a problem because it opens up a hole in the wall for water to seep through. Also, one compacted brick will lead to more compacted bricks because it no longer provides the bricks adjacent to it with the pressure they need to stay in place. When you call a masonry contractor, they will often replace the affected bricks and then recommend that your foundation be underpinned by push piers for extra support. When you have a fireplace and chimney with masonry, make sure you take a look at the chimney every once in a while. Don’t let your chimney deteriorate. Damaged chimneys are a fire hazard. If you see flaking or spalling, brick, cracks in the chimney crown, bits of flue tile piling up at the bottom of your chimney, a rusted firebox (or damper), or deteriorating mortar, call your masonry construction specialist. This is when the mortar between your bricks starts to buckle and disintegrate. 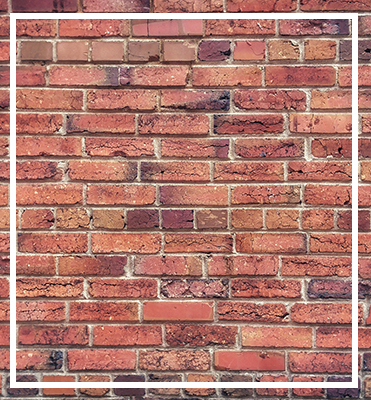 With no healthy buffer between bricks, they loosen up and rub up against each other causing damage and warping. This leads to high repair costs that can be prevented if it is caught early on. When you call your masonry repair contractor in time, they can replace or reinforce the mortar, which is simpler and faster than a rebuild. What Types Of Brick And Mortar Should Be Used In Fireplace Construction? When it comes to your fireplace, the only type of brick that should be used is a fire-rated brick. Regular brick is made up of clays and shale that are molded and manufactured and are produced to withstand small amounts of heat only. Fire brick is made of fire clay and other ingredients that are able to withstand large amounts of heat. In addition, fire brick allows heat to be radiated into the area it faces, i.e. your fireplace, where it belongs. It’s important, when constructing a brick and mortar fireplace, that you are using the right materials. When you call a professional, like 1st Choice Chimney, you can be sure that we will help you select the materials that look beautiful in your home and keep you and your family safe. A fire pit is a destination on your property that people will flock to. It’s perfect to bring everyone together for roasting marshmallows, or simply just conversation, creating a cozy yet elegant focal point to any outdoor living space. How did backyard parties get along without them? Outdoor fire pits offer one-of-a-kind design tailored to your space. They give you the freedom to incorporate more textures and colors than concrete or metal. They can be built on an existing patio, and should last as long as the house does. That is, if it drains well. Maintenance is key toward keeping your backyard fire pit, or outdoor kitchen looking and functioning well all year long. Fire pits are prone to cracking. A hot fire raging in cold conditions can cause stress on your fire pit. When installing masonry fire pits in cold regions, your masonry expert will make sure that the proper measures are taken to accommodate for an increased risk of cracking. Generally, this involves footers extended to the frostline or built on a reinforced concrete base to reduce risk of cracking. Making sure flames are away from your home seems like a no-brainer, but there are several different clearances to keep in mind before lighting up your fire pit. Keeping a pit’s walls low, generally no taller than two feet, helps to discourage building huge wood fires. At or below-grade fire pits are inherently more dangerous. Most fire safety guidelines advise keeping an open fire at least 10 feet away from any overhanging tree branches or nearby shrubs. Place your fire pit at least 10 feet from the house. Be sure to keep a garden hose with a sprayer, a bucket of dry sand, or a fire extinguisher nearby. Your fire should be a minimum of 10 to 25 feet from the property line depending on your local code. Keep it the same distance from fences, garages, or sheds. When it comes to indoor and outdoor fireplaces, fire pits, and outdoor kitchens, no fireplace is the same. At 1st Choice Chimney, we offer brick and mortar construction services that cover anything from needing to repair your brick and mortar to ensure that it’s in top condition, to an entirely new installation. No matter what the need, we perform our masonry construction services with excellence so that your fireplace and fire pit is the gathering place of your home. We make sure our customers are protected and their fireplaces and fire pits last for years to come. Contact us today to learn more about our masonry construction services.